I like to make lists for everything. I think they are very effective because it puts your goals in plain sight. When you have completed a task/goal, mark it off- this helps you to see the progress you are making. It is both encouraging and motivating. At the beginning of the week, I like to make a master list and then at the beginning of each day, I like to make a sub-list. The master list is kind of like an overview of everything I need to complete in the week, and the daily lists are the things that I need to do to knock out each task on the master list. I find this to be very effective, especially since I am a visual person. I also think this is a great thing to incorporate with your vision boards and bucket lists. Seeing a vision board everyday, or however often you look at it, is great! It keeps you motivated and keeps everything that you want in sight. When you have these things in sight and in mind, it can help you to better strategize and organize your lists and in turn, having your list will help you to accomplish the things on your vision board/bucket list. 2. Make deadlines for yourself. Deadlines can be a pain and sometimes make you feel pressured, but pressured or not, they ensure that you get things done. Self-imposed deadlines are great, because who knows your sense of timing and tasking better than you? Set deadlines for yourself that are both realistic and effective. Just because you are setting a deadline for yourself doesn't mean that you give yourself all of the time in the world to get something done. As a matter of fact, it should be the exact opposite. Hold yourself accountable and get things done in a reasonable amount of time because if you don't, you'll find yourself filing a lot of things under "that time I missed out on ___, because I procastinated". This is one that I know can be a bit challenging for many of us. With text messaging, social media, apps, games, email and whatever else you can think of, our phones have literally become an extension of our person. But just try it. I guarantee many of your tasks will seem easier and you will complete them quicker, when you put your phone down. Sometimes, I like to put my phone on silent and flip it over so that I can't see the screen until I have completed my task; and once my task is complete, checking my phone is like a little treat to myself. I do this when I am writing, reading, cleaning the house, exercising, cooking...just try it. You'll be impressed with yourself, I promise. 4. Be savvy with little necessities. If it needs to be dry cleaned, ironed or hand washed, more than likely, I'm not going to buy it. I'd rather spend my time working or staring at a tree than to iron or drive to/from the dry cleaners. But that's just me. Also... stay focused. When it comes to grocery shopping, I keep myself on a tight budget and I know what I need before I go in. I tend to go grocery shopping weekly... so, to save money, I usually tailor my shopping list around whatever is on sale and I stick to my list so I only walk out of the store with two bags and not five. I also try to be (health) conscious about what I put in my body, so doing meal prep is the key for me! Meal prep(aration)= preparing all of your meals for the entire week, at the beginning of the week. 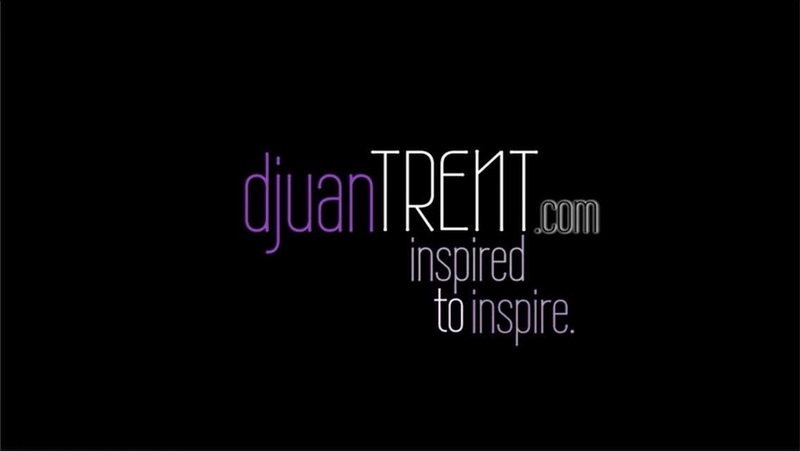 My meal prep takes place on Sunday mornings or Sunday evenings. If it doesn't happen then, it is going to being a disastrous, money guzzling struggling to eat well throughout the week. You can save a lot of time and money by spending a little time and money. 5.If you can, do it in the morning! Having time to think and decompress is so incredibly important! I could not sustain without finding the time to do this. My top two favorite places to decompress are in the car and in the shower! It is just amazing to me, many how many ideas and thoughts come to me when I am driving around with the radio off. It is just great. I also enjoy sitting in my car, just because. At the end of a long day, when I pull up at my house, I will sit in my car for anywhere from 10 minutes to an hour, before I actually go into the house. It's oddly relaxing. And, showering! Showering is a great way to get the most out of your time, especially your personal time. Wash your buns and clear your mind. I like to shower in the dark with candles, and sometimes a drink. Judge not- If you've never had a shower beer/wine, perhaps now is the time to consider. Think about it, what better time to relax and reflect? Showering in the dark can be great time for gaining your focus for the day or for decompressing for the evening. 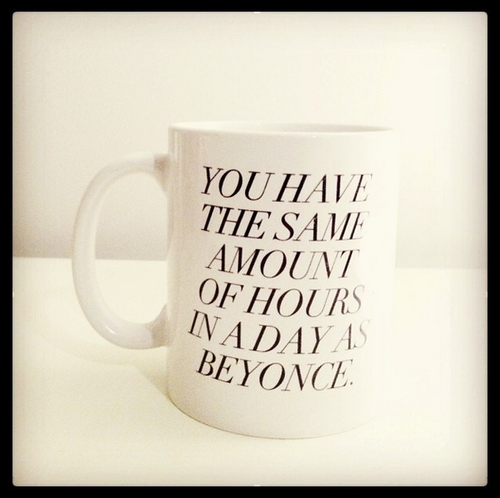 We all wish we had more hours in the day and days in the week...and then you see someone's coffee mug that says, "You have the same number of hours in the day as Beyonce", and you feel a little under-accomplished, I get it. But you know what? At the end of the day, that's it! The day is over. Let it go and let it be. One of the greatest lessons I have learned in maximizing my time is realizing that while timing is everything, everything happens the way it is supposed to. So, read all of the self-help books and articles, figure out what works for you, put your best foot forward, treat your time like the preciousness that it is, and let it be. That is my secret recipe.